Clinic Synopsis: In this session, strategies for string players in tackling the unique technical challenges of orchestra conducting will be presented. Among the subjects to be discussed are: parallels between bow and baton techniques, use of the left hand in demonstrating expression, and translating string-specific terminology and the daily instrumental practice regimen into the craft of conducting. In support of the above, particular practical exercises will be demonstrated. 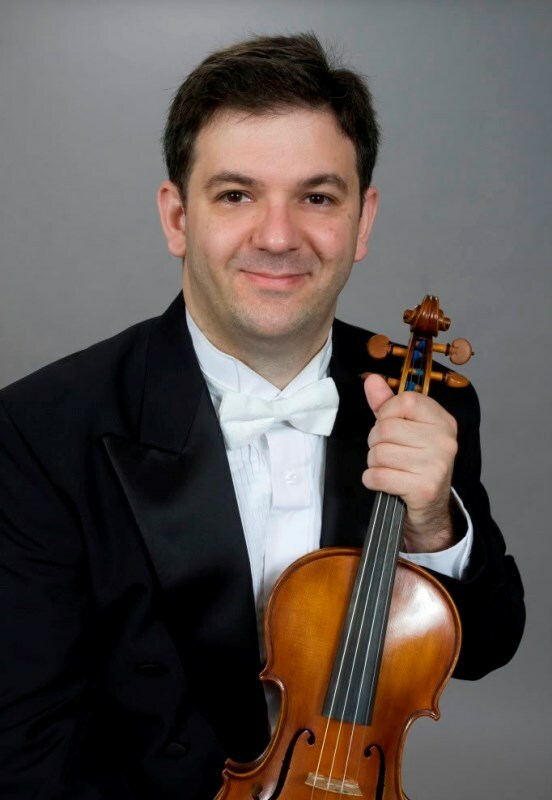 Clinician Biographical Information Selim Giray is Assistant Professor of Violin and Pedagogy at Wichita State University. As Concertmaster of The Ohio Light Opera, he performs for 20,000 patrons each summer and has been featured on eight CD's for Albany Records. Previously, Dr. Giray served as Associate Professor of Violin, Viola and Artistic Director and Conductor of PSU Chamber Orchestra and Southeast Kansas Symphony Orchestra at Pittsburg State University. Between 2000 and 2003, Giray taught at Interlochen Arts Camp. In 2012, Giray has made his Carnegie Hall debut, and is invited back to perform on January 11, 2014. Currently, Selim Giray is transcribing Friedrich Gulda’s cello concerto for the violin for the prominent Viennese publishing house Josef Weinberger. Most recently Giray’s feature article, titled “To Tilt Or Not To Tilt” has appeared in the November 2013 issue of American String Teacher—the peer-reviewed quarterly journal of the American String Teachers Association. Giray’s CD, titled Turkish Music for Violin & Piano has been published by ERMMedia (distributed by Naxos). He edited Adnan Saygun's violin concerto for Peermusic, Hamburg. In 2003 Mellen published Giray's treatise, titled A Biography of the Turkish Composer Ahmed Adnan Saygun and a Discussion of his Violin Works. The Ministry of Culture of Turkey published the same work in Turkish. An active clinician, Giray has offered master classes at the Florida State University, Louisiana State University, Istanbul Technical University, China Conservatory of Music in Beijing, among others. As a doctoral candidate at the Florida State University, Selim Giray studied with Eliot Chapo, former Concertmaster of the New York Philharmonic. Prior to that, in 1992 he was awarded a joint fellowship from the North Carolina Symphony Orchestra and East Carolina University, where he studied with Fritz Gearhart. Selim Giray graduated from Istanbul State Conservatory and Mimar Sinan University, where he studied with Saim Akçil. Through his tenure, Giray has recruited international students, including Paraguay, Romania, China, South Korea, and Turkey. His students won numerous competitions, including the ASTA Solo Competition, Kansas Chapter. Giray’s students have been accepted to Yale, Rice, the University of Oklahoma, and the Florida State University, and received the Fulbright Scholarship. Some are members of orchestras including the Youth Orchestra of the Americas, the Civic Orchestra of Chicago, the Kansas City Symphony, the Houston Symphony, the Detroit Symphony, and the Chicago Symphony.